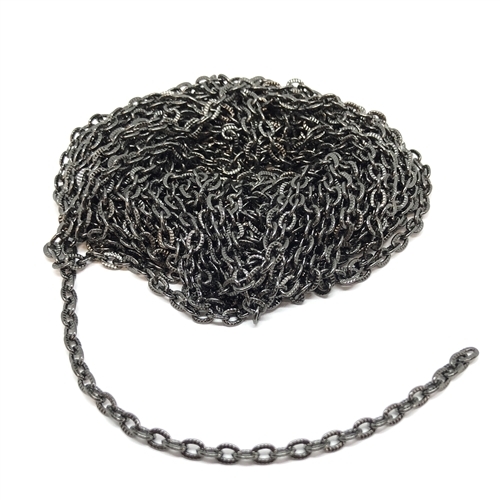 Gunmetal cable chain, jewelry chain, gunmetal, textured, oval link, cable chain. Nice delicate looking but sturdy with soldered links. Measures 3 x 4mm links. Sold by the foot.